CONTEXT: Typically stated by Gartner Representatives, very conservative IT Decision Makers and/or companies who find themselves in the best/correct quadrant! 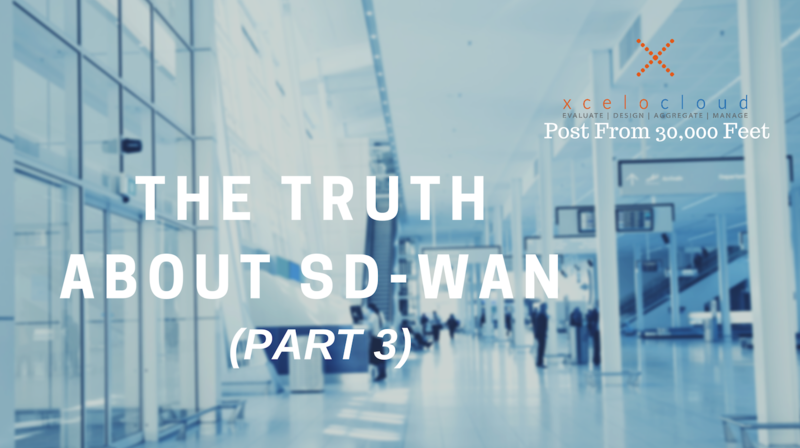 HERE IS THE TRUTH: The “SD-WAN” report by Gartner is really a WAN Edge Report that includes SD-WAN and other congruent technologies like WAN Optimization and WAN Edge Security solutions. As such, to take it as the defining factor on SD-WAN or companies that you should select to evaluate MIGHT be a mistake! First, size of the company does not ALWAYS matter!! Sometimes a company purchased by a large industry leader does not always ensure the best result OR the best customer experience – especially during the first 6-12-month integration period (not always the case—but can be for sure). Secondly, often INNOVATION happens early in a solution’s life cycle and happens outside of huge company’s policies and procedures… So, beyond the Cisco’s and VM Ware’s of the world – who else should you be looking to for help? Finally, while we agree with 50%+ of their findings – we think that working through your objectives with a technology agnostic advisor MAY be the best way to find the right solution for you… We are still early in the evolution of Software Defined Networking – so seeking expertise might be the best way to save time, save money and wind up with the very best solution (and outcomes) for your team, your people and even your customers!